Stalling will begin at 7:30 a.m. on Wednesday, March 13. The line for ALL (remaining viaduct and barn) stalling will start outside of the Jr. Show Office, located on the South side of the Gilligan Building. Exhibitors may reserve stalls for other exhibitors if they have all of their information, the other exhibitor is a paid, current member of OCA and has entered and paid for their show entries. All cattle must be entered online, stalled and checked in by 8:00 p.m. on Friday, March 15. Please arrive with cattle at least an hour prior to ensure completion of stalling, entries and check-in by 8:00 p.m.
junior Showmanship: Saturday, march 16 - 12 p.m. 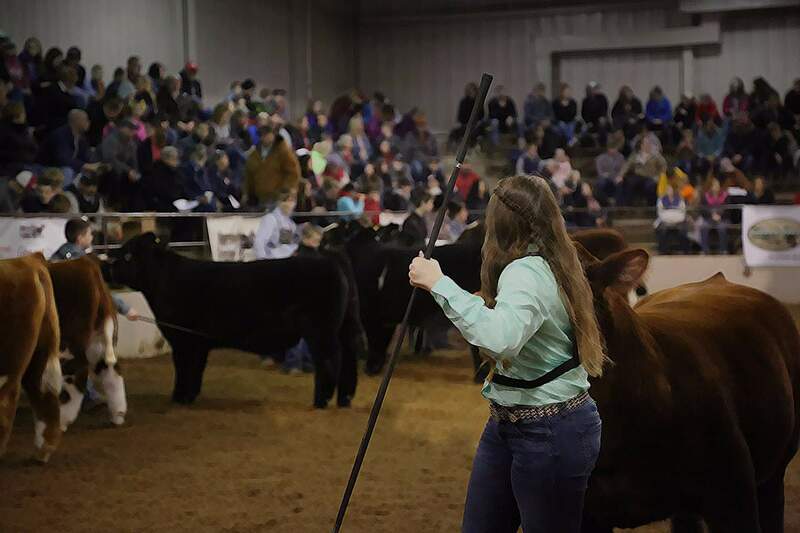 Junior Heifer Show: Sunday, March 17 - 8:00 a.m. Junior Market Animal Show: Sunday, March 17 - 9:00 a.m.
Sunday's Junior Show events will stream live through Walton Webcasting. Learn more about those who make this event possible.